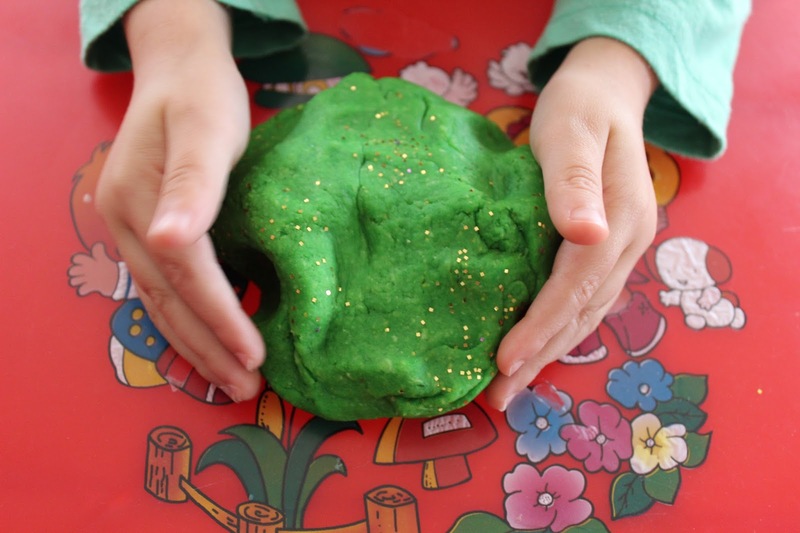 Last week we were celebrating all things related to St Patrick's Day! 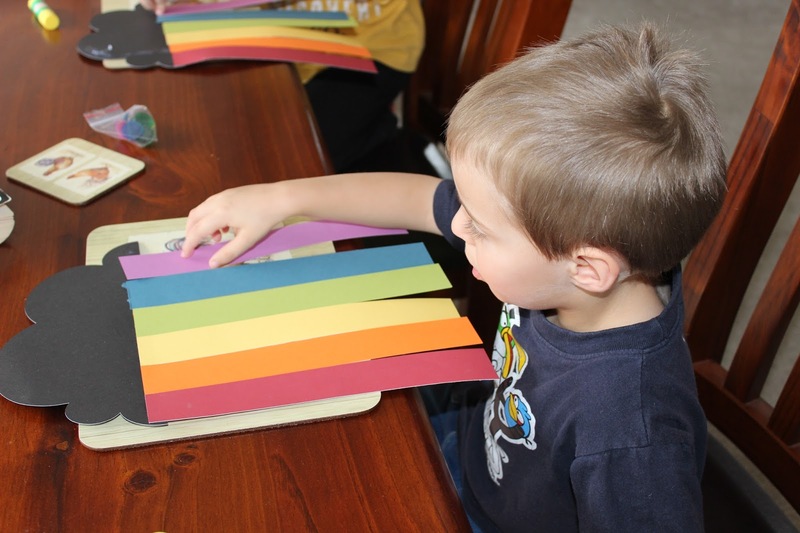 Our first activity was to put together a rainbow project from a Make It Now option on my Cricut. This was a brilliant option as it only required glue and cardstock- no paint or messy items on our new table! The finished creations were very cute, complete with a pot of gold each. 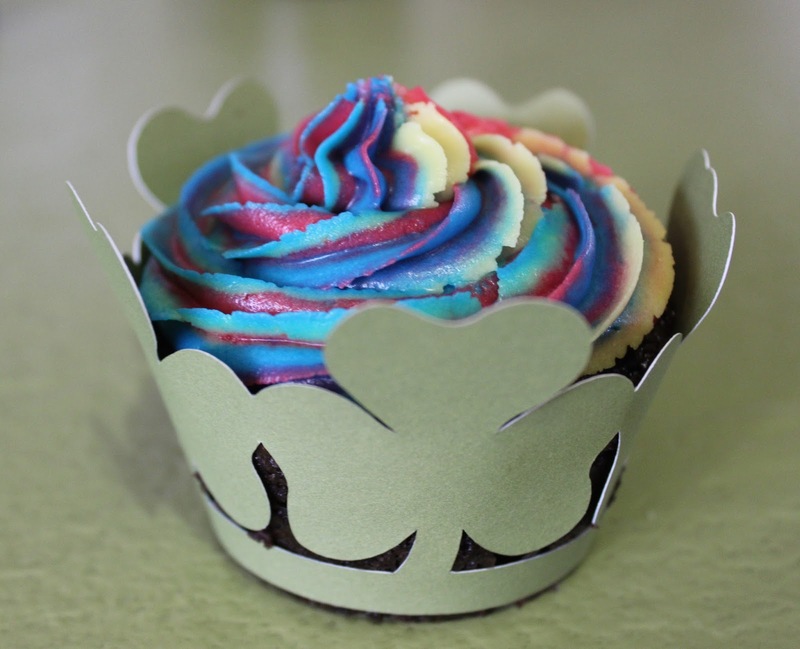 We made some delicious Pot of Gold cupcakes, complete with rainbow icing and shamrock wrappers. 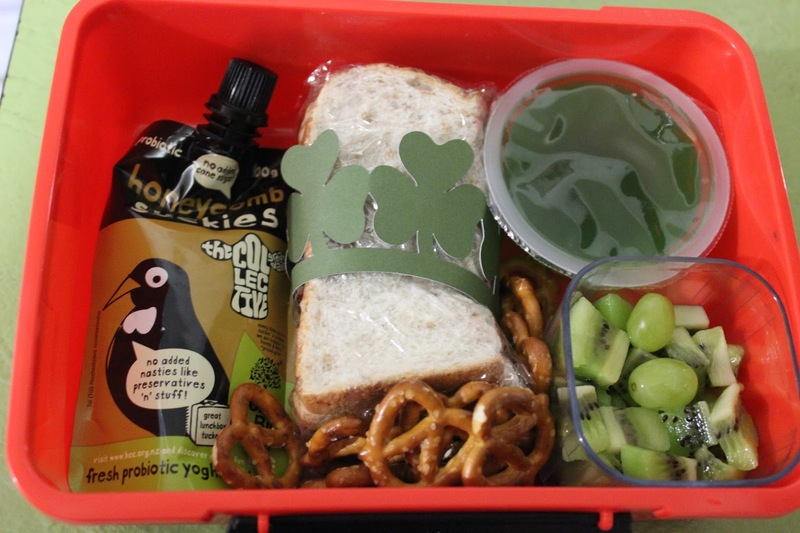 My six year old got a green lunch on St Patrick's Day, complete with another shamrock wrapper around his sandwich. He also had some yoghurt, pretzels, green jelly and some diced grapes and kiwifruit. 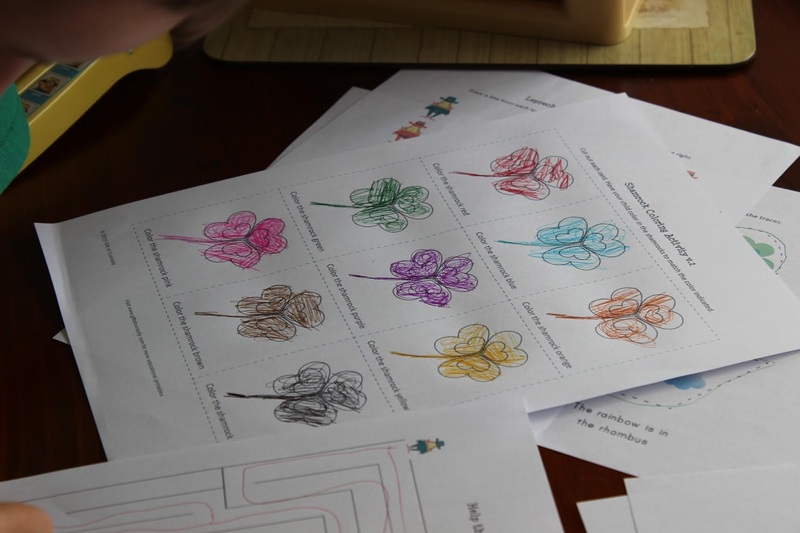 After school, it was time for some printables from Gift of Curiosity- this is a wonderful site for printable resources! The boys loved the mazes and colour matching games, and my six year old wanted more pages to complete! 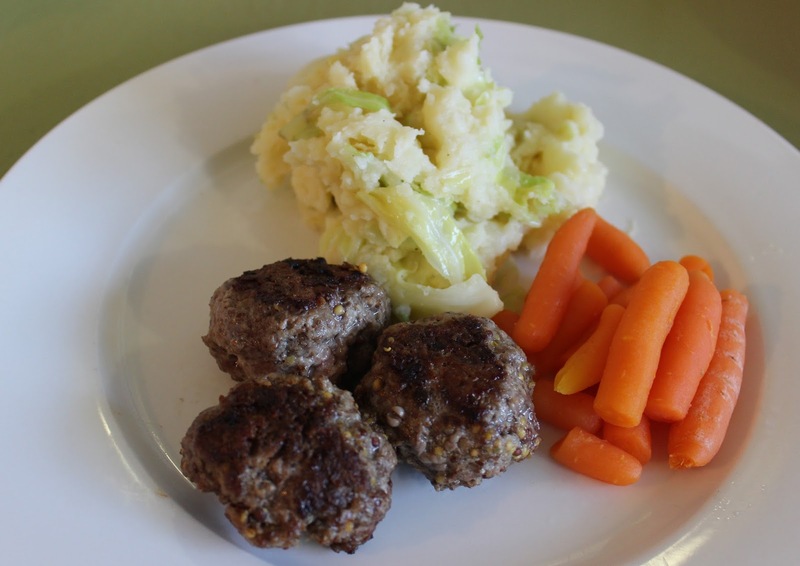 Dinner was inspired by Irish fare, with baby carrots, mustard rissoles and colcannon. My whole family wolfed this down and my kids have now declared that they love mashed potato and cabbage mixed together. 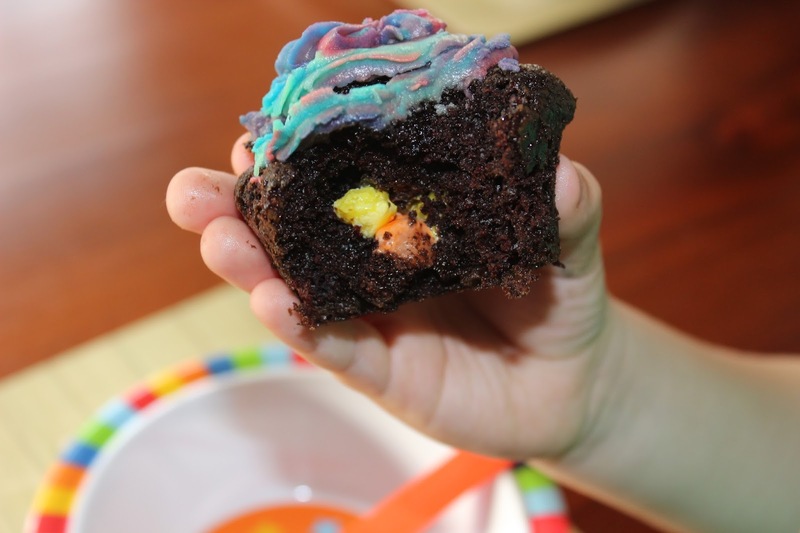 Dessert was one of our cupcakes, and everyone loved finding the gold inside! 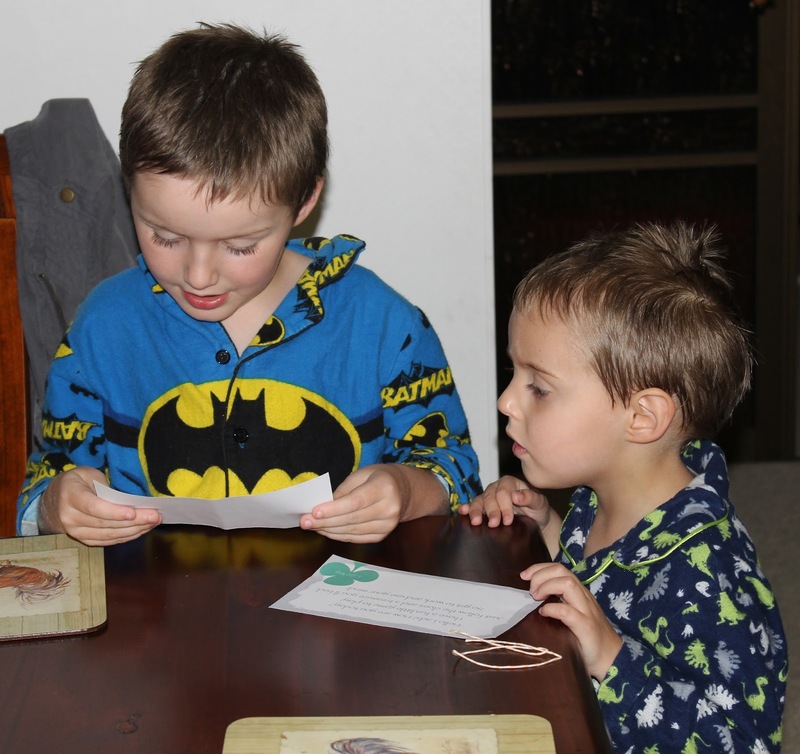 Lastly, while the boys were in the shower a little leprechaun came to visit and left a treasure hunt (printables by Love Grows Wild) with some treasure under their pillows. The boys loved having some themed activities again, as I have been a bit slack lately due to all of my health issues. I remembered how much fun I had planning these activities, and I am excited to keep up with some more themed weeks with my boys.